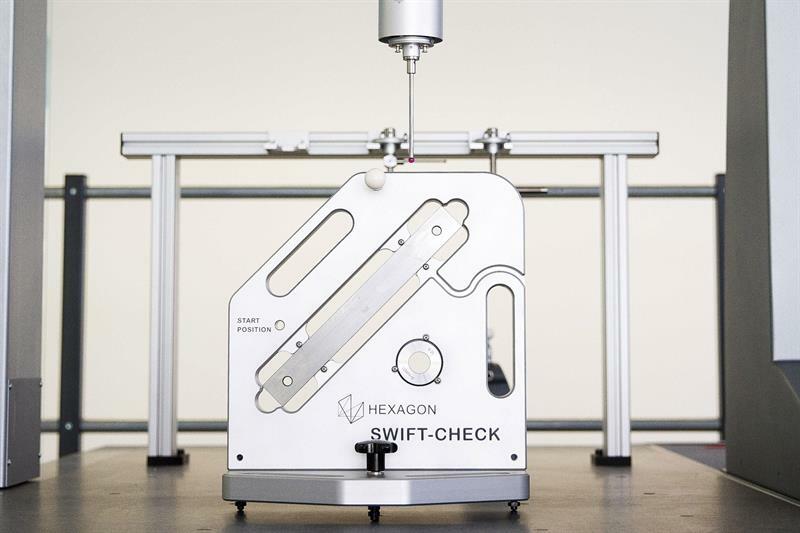 Hexagon Manufacturing Intelligence has launched the Swift-Check artefact, which is designed to verify a CMM’s accuracy in between an annual service and calibrations. The compact equipment is provided with pre-written PC-DMIS or Quindos software measurement routines and options to perform length bar, ring gauge, sphere and wrist checks. Hexagon says the Swift-Check artefact can be used on any bridge-style CMM that uses an indexing wrist with either a touch trigger or analogue (scanning) probe. 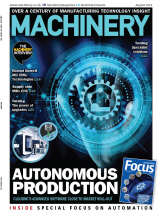 “Our best practice advice is to routinely check a CMM’s performance so that unseen system measurement inaccuracy errors can be captured early,” comments Gary Brice, Hexagon Manufacturing Intelligence’s business manager. “Swift-Check ensures manufacturers can avoid a potential high cost risk downstream in production or assembly by being pro-active outside of scheduled ISO service and calibration interventions,” he adds.